When staff cost your business money in lost sales, you see your staff as an expense. But when they help you generate more sales, you see them as an investment and asset to your business. Empower your staff to help you build a thriving business. 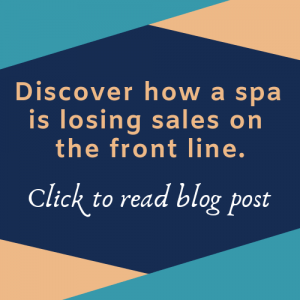 Do you worry that you’re missing out on maximizing sales with customers? Are you getting negative reviews online from customers who have received poor service? Do you lack an automated system to engage with new prospects and build client loyalty? You rely on your front line staff as the first point of contact with new and existing clients. But do they have the tools and training to maximize sales with each prospect and customer? Effective customer service needs a system. And that system begins (and ends) with your frontline staff. Inquire today about our proprietary training system for frontline staff: FrontLine Pro. Are you ready to increase your sales? Fill in the form to request a no-obligation consultation.